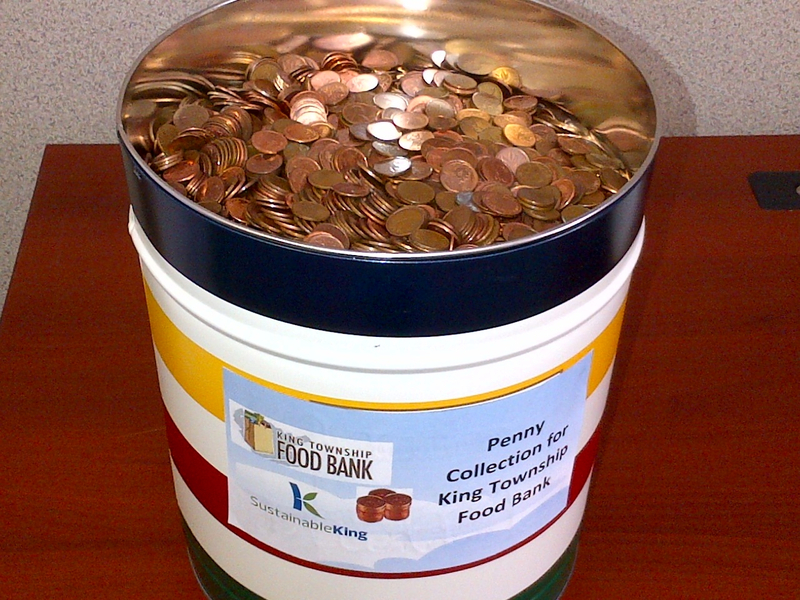 Over the past two weeks King Township held a “Penny Challenge” among staff to celebrate the demise of the penny by making a contribution to the King Township Food Bank. It was a departmental challenge and the department brining in the most pennies was announced last week. Carol Ann Trabert from the Food Bank accepted the donation. Overall, 87.4 pounds of pennies were collected from Township staff. The Finance Department was announced as winners as they collected 31.4 pounds of these pennies. Instead of counting all the pennies, staff calculated that the 17,000 pennies amounted to $170 for the Food Bank. Penny jars are located across King, so help the Food Bank reach its goal of 100,000 pennies.